Manifestation Miracle is a step-by-step blueprint that teaches how to use DESTINY TUNING to assist in Manifestation. It includes simple, practical instructions and techniques, designed in a clearly laid out format for personal growth. In video above, I give a detailed breakdown of what's contained inside the Manifestation Miracle program. In this incredible program, Heather Mathews provides a step-by-step blueprint that illustrates how to use manifestation to create a great and fulfilling life. Uncover how to break free from the chains of repetitive negative thought processes… And how to move towards having a growth mindset. This is an important and valuable key to creating lasting positive changes in life. Learn how to use ‘DESTINY TUNING,’ a powerful psychological technique for getting in tune with a life path that feels natural and exciting. This helps with manifestation efforts. Without Destiny Tuning, a lack of alignment may be blocking and limiting abundance, happiness and success. Find out methods that Heather and others are using to achieve long-term financial freedom. Most people who have ever tried to manifest money, have been missing a key ingredient and Heather will explain everything! Other people who have doubts may be astonished at the results they see. They might even wish they could have the same benefits for themselves! Manifestation Miracle is one of those once in a lifetime systems that will absolutely change your life. The information in this book is transforming, inspiring, powerful and uplifting. Every page in this book takes you on a journey of awakening to the truth of who you truly are. Heather has created a map of possibility for your life. This is one journey you don't want to miss. This is a product that I will definitely recommend if you are serious about making drastic positive changes in your life. The system is so detailed and filled with life-changing strategies, every aspect of our lives was covered in the system and not a single detail was left out. I strongly believe that this system will provide readers with the best helpful advice, and positive wisdom that they will need to make improvement in their lives. Manifestation Miracle not only gives you proven tools for success, it guides you step-by-step on how to manifest anything you want into your life. With Manifestation Miracle, I became more effective in helping my clients manifest their dream marriage & relationship they were desperately after, even ones on the brink of divorce. It truly works! Manifestation Miracle is the kind of book I've been waiting for. 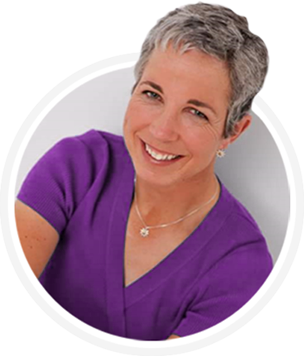 Heather Mathews provides you with the tools you need to start living the life you know is for you. This book will open your eyes, heart and soul to creating miracles in your life and in a way that is tangible and real and she provides some great exercises to support you on your way to Manifesting your dreams. Over 15,825 People In 87 Countries Are Getting Results With Manifestation Miracle!